We’re turning up the heat! 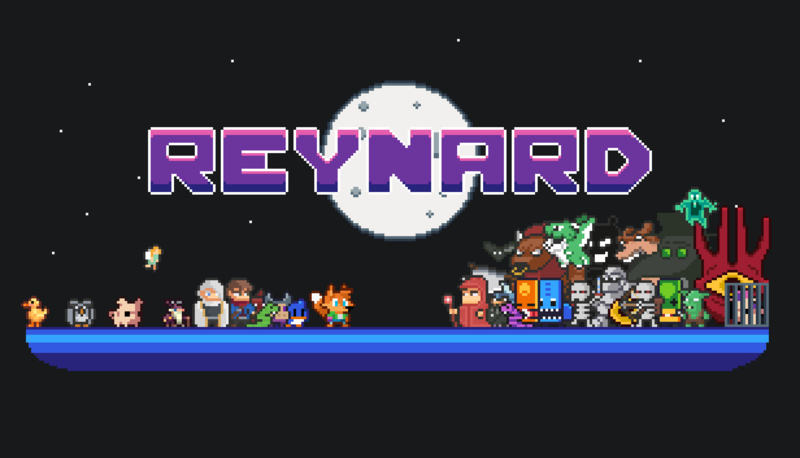 Daily runs have been added to Reynard! Previous week’s Wilson is doing awesome! Players like him! More boss patches will come in the future, but first we’ve decided to spice things up with daily runs! Daily runs use a different dungeon seed on a daily basis, so in scope of 24 hours, you’ll always have an access to the same dungeon! 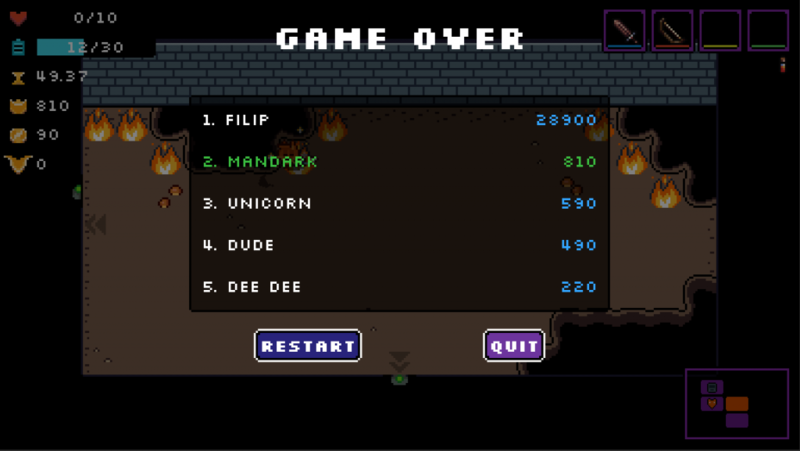 Once you die or finish the game, your score will be submitted online under name you’ve chosen in the profile selection menu! You’ll also see the leaderboard with the score of top 5 players! In order to play the daily run, you have to enter Reynard’s house (more about the house down below), where you’ll find stairs to basement. If you interact with stairs, you’ll get to play the daily run! 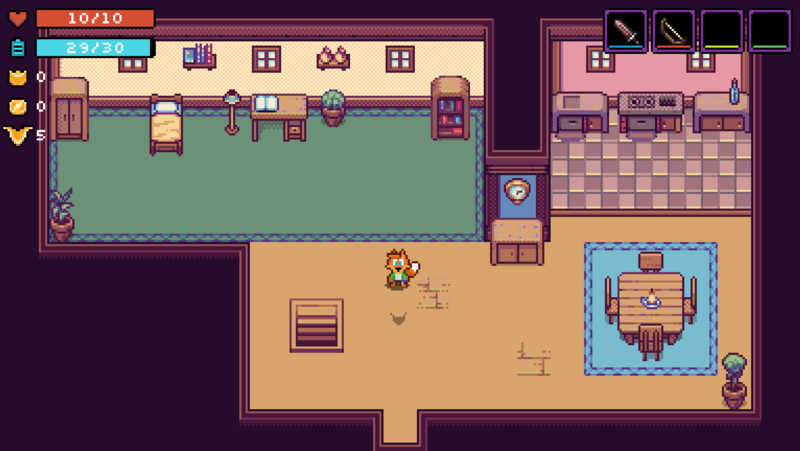 Daily runs are fairly new in Reynard and will probably change! For example, I’m thinking of adding a cap of how many times you can play a daily run… And I kind of have a feeling that I’ll add that soon. As mentioned above, I’ve added a house! Not only that it’s “cool” to walk around the house… It’s even more awesome to enter it! In house you can find “The book of credits”, where you’ll find all the info about who created and helped creating Reynard’s universe, you can enter a daily run and in the future you’ll be able to read the bestiary, check profile stats, daily run stats and see your unlocked achievements. Added some particles when you destroy an object or kill an enemy. Increased the chances of getting stamina or energy potions when breaking pots. Reduced HP of pots. They are now broken with one hit. Increased the small health potions HP heal to 1. Increased the big health potions HP heal to 15. Triple Bubble turrets CD reduced for 50%. Fixed the ground decorations outside of rooms in the dungeons. Update is live and kicking on itch.io!